Here is a photograph of a group of people gambling. 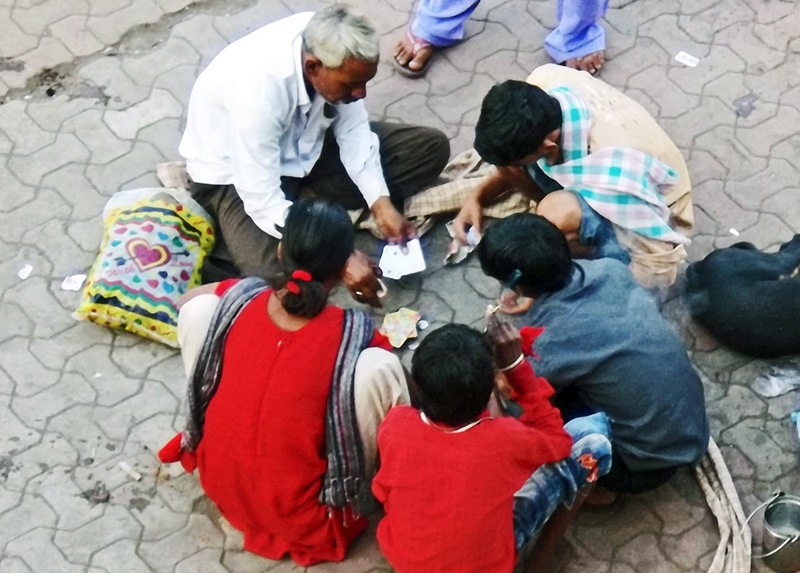 They are playing cards for money on the streets. 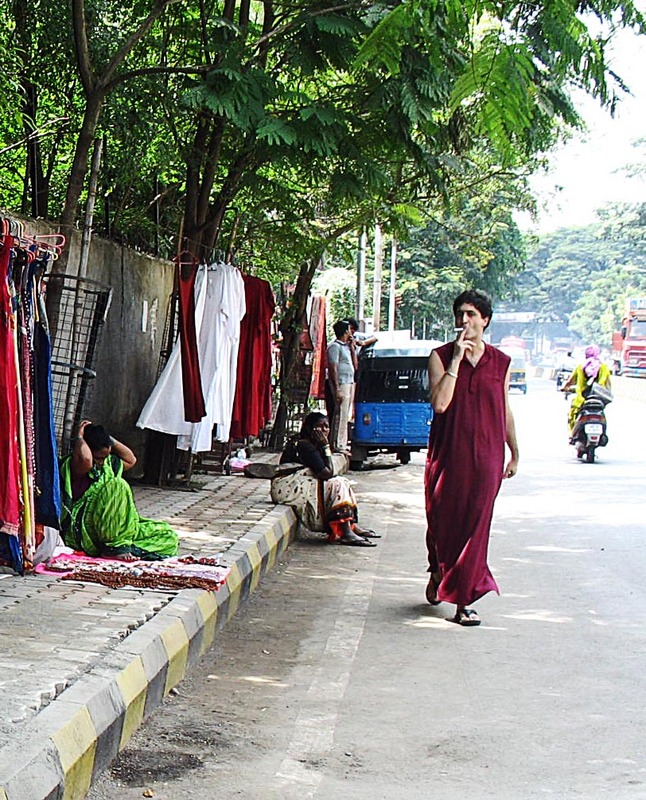 The picture was taken near a railway station and some of these people are street urchins. They seem to living on the streets as they had their belongings like clothes and utensils nearby. 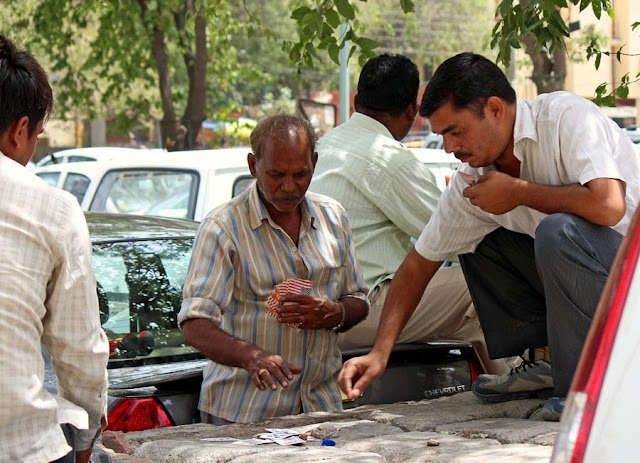 Another photograph of a group of men playing cards on the street. They appear to be waiting drivers. 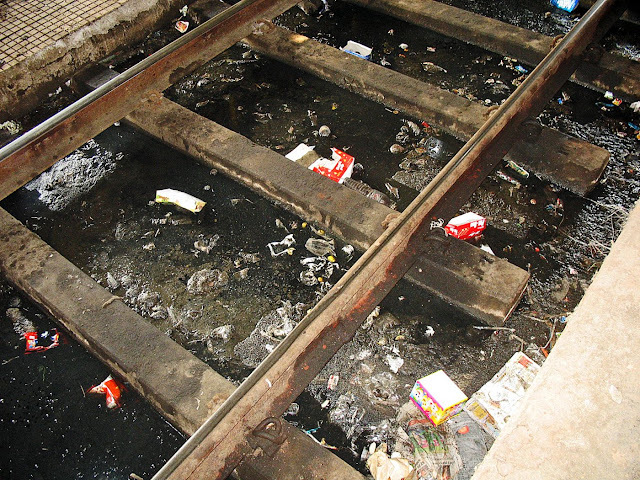 Here are pictures of filthy railway tracks in India. People use the toilet at railway stations and also throw garbage outside the train window and railway platforms. Railway personnel are also guilty of this at times. 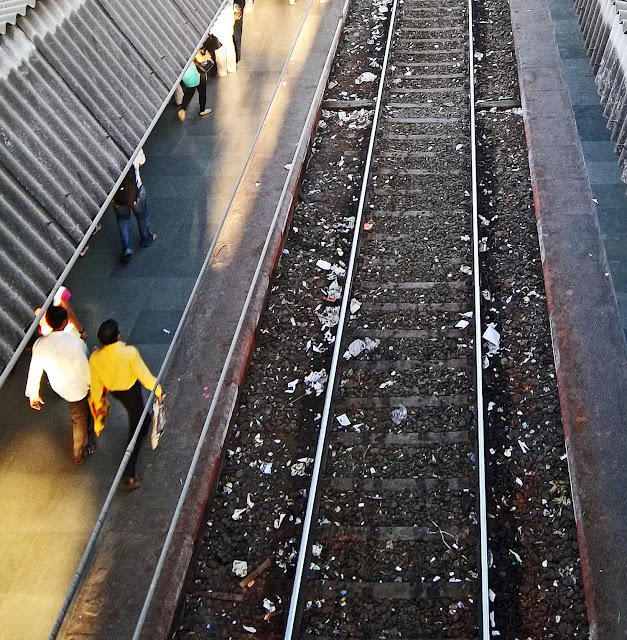 This photo is taken at Mumbai Central Station, just before the train arrived. There is slime and muck here besides litter like empty cartons and paper waste. This pic is taken at a suburban railway station. The railway track is full of litter. Waste paper and plastic. The following photo was posted later, and taken in July 2015, near V.T. station. It does appear as if commuters dirtying the tracks is not enough. 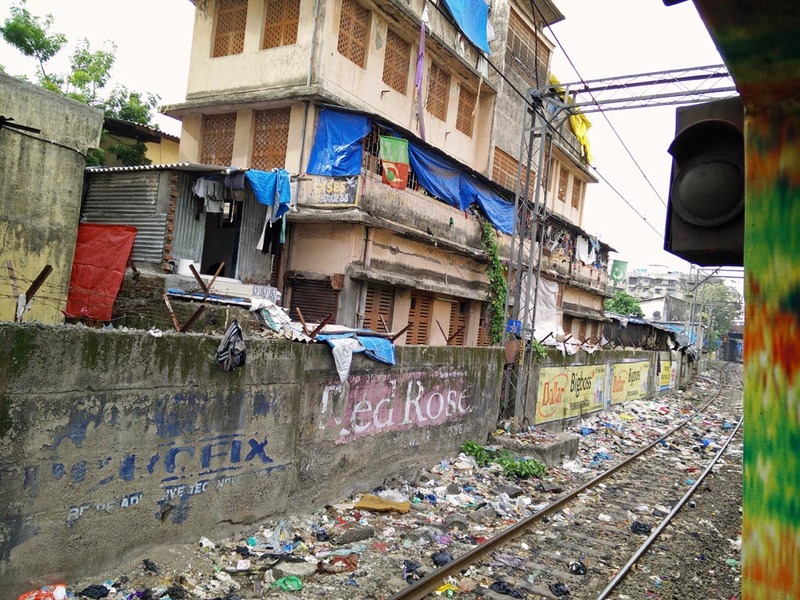 Households next to the railway lines used the tracks as a garbage dump! 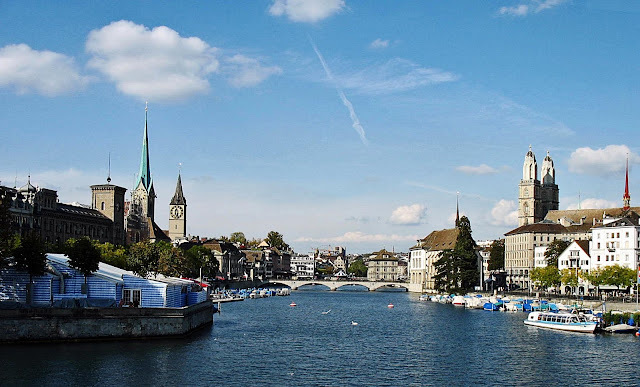 These are photographs of Zurich city, the largest city in Switzerland and the financial center. The photograph below offers a wide view of some of the major buildings near the Limmat river. 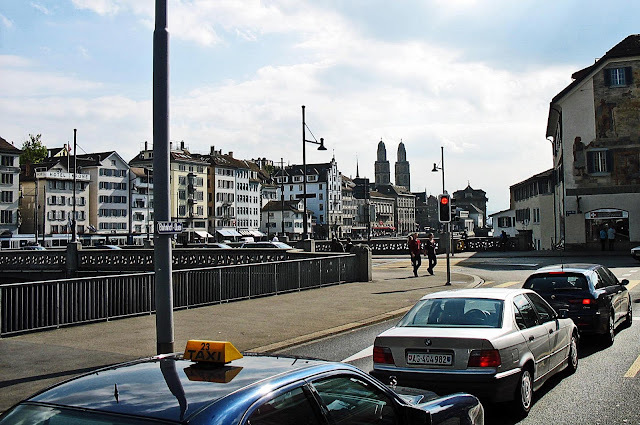 The Grossmünster church can be seen to the right of the image. It has two spires and a red steeple at the back. To the left of the image are two clock towers. The shorter one is the largest church clock face in Europe. It belongs to St. Peter's church, an old church built in the 8th or 9th century. 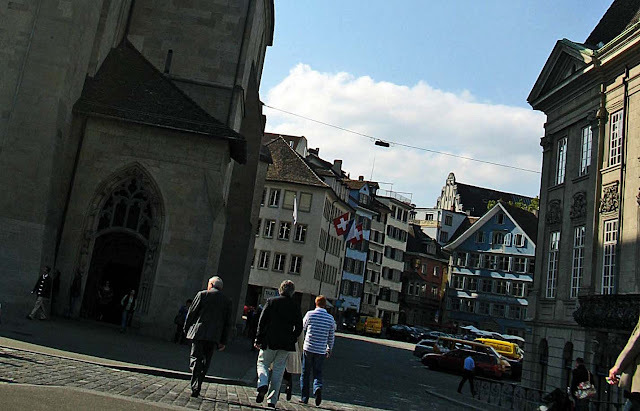 The green steeple belongs to the Fraumünster church, another major church in Zurich. The next two photos are closer views of the same area. 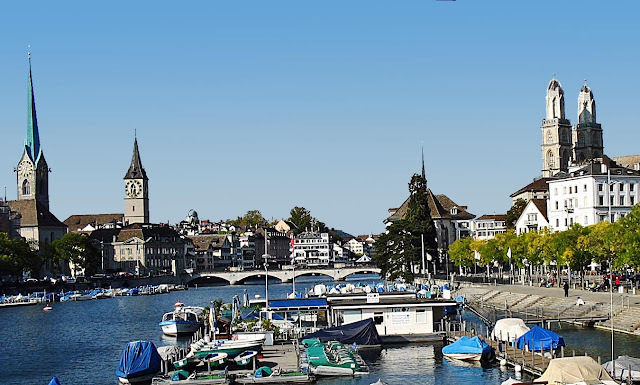 You can see boats parked and covered with blue tarpaulin on the river Limmat. There is a small boathouse next to them. 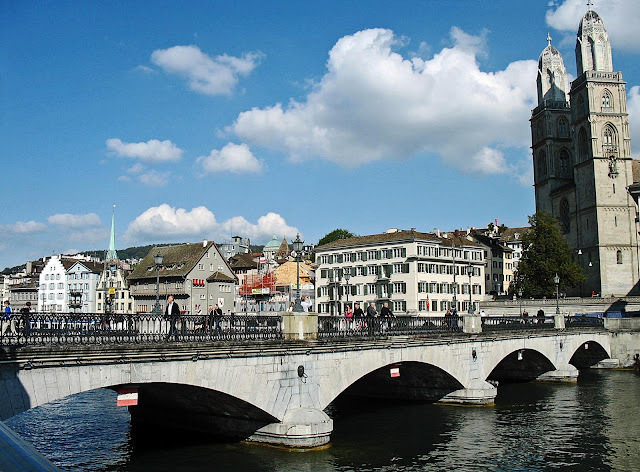 This photo is of a bridge across the Limmat river in Zurich. Most major sights are located near the river. Churches and bridges and shops. This is a beautiful picture of Limmat river and a bridge. 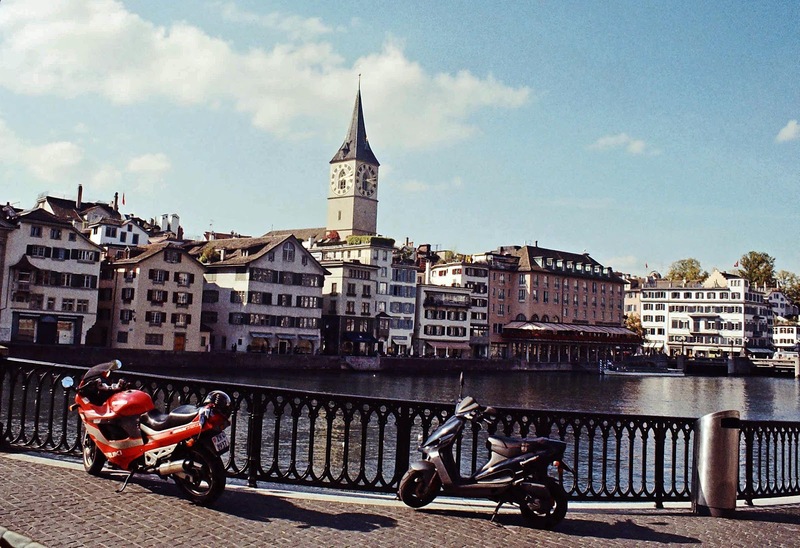 A motor cycle and a scooter are parked on the bridge. In the background you can see pastel coloured apartment blocks and a close up of the famous St. Peter's church clock tower. This is the entrance to the Frauminister church. In the background you can see the residential buildings, nor more than 4-5 stories high. Most buildings in Zurich are short, part of the city planning. They are also fairly close to one another. This is a view from another side of the river. The church towers can be seen in the background. In the foreground there are cars and a taxi which have halted at the red light. Two pedestrians are walking near the traffic signal. 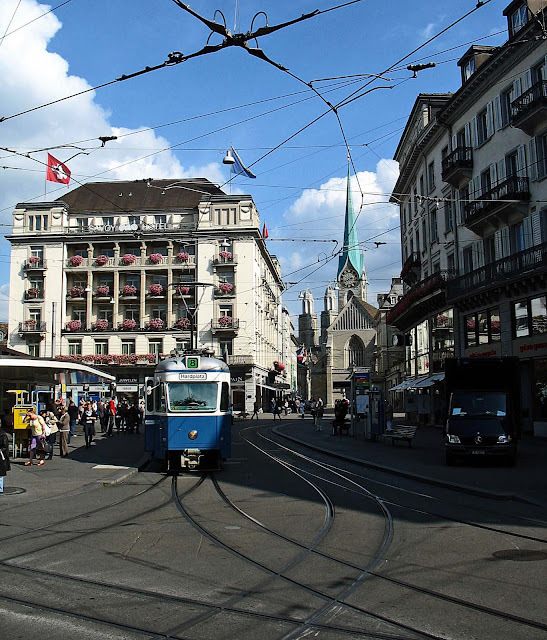 The Paradeplatz is a famous Square in Zurich, and there is also a major tram stop here. The Fraumünster church can be seen in the background. 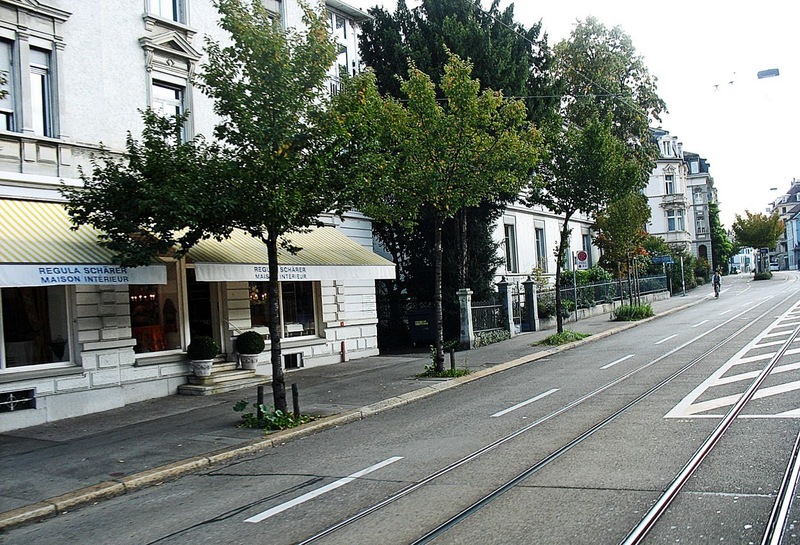 A quiet tree-lined street in Zurich. Some shops can be seen on the pavement to the left. Tram lines are also visible. 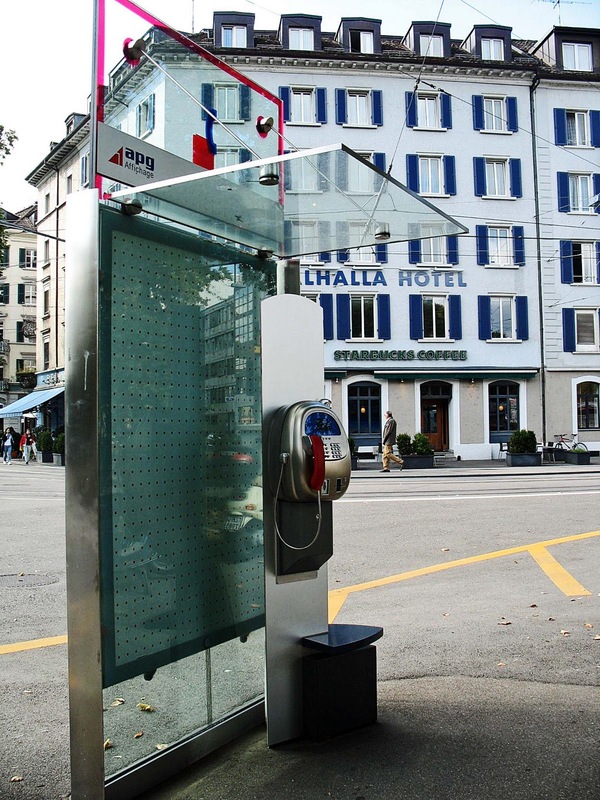 A sleek phone booth in Zurich, very close to the tourist bus-stop and a hotel. 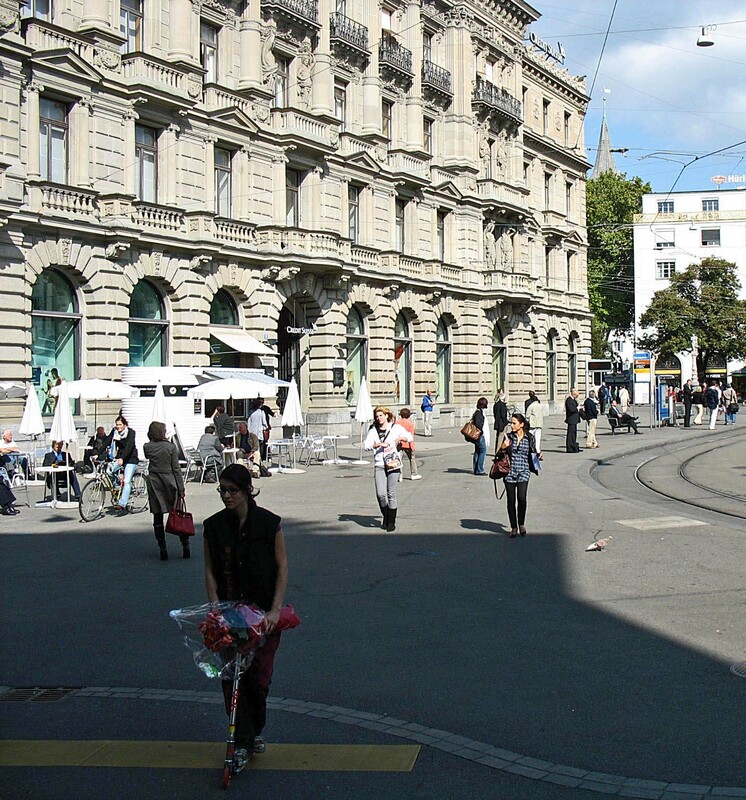 Here are the smart women of Zurich, walking down a street, near the main Paradeplatz Square. There is a small outdoor cafe to the left of the image. A young woman in the foreground is riding a kiddie scooter and carrying a bouquet of flowers. A faster alternative to walking. These are photos of men smoking, young and old. The first one is of a young man in China. 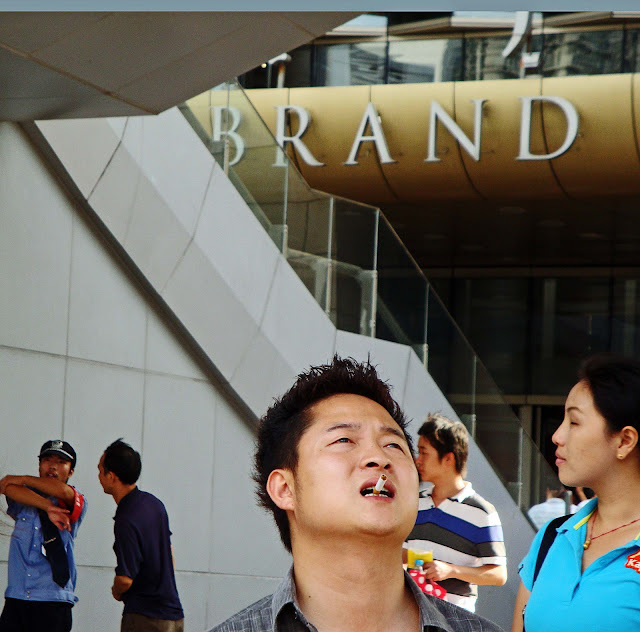 He is standing at a shopping centre or mall, and enjoying his smoke. He seems to be concerned with style, the way he is holding his cigarette between his teeth. China has 300 million smokers and the latest news is that China is planning to ban public smoking at indoor public places, similar to this one. 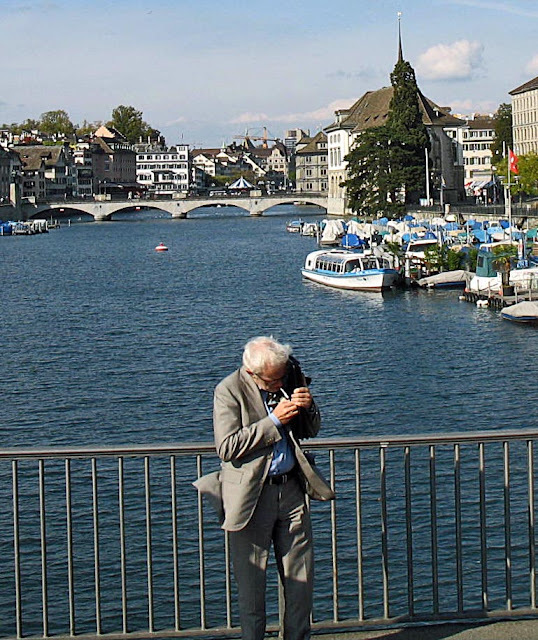 This one is of an elderly man on a bridge in Zurich, Switzerland. He is lighting his cigarette. This photograph was taken in October 2009, seven months before the ban on smoking in public places took effect in Switzerland. 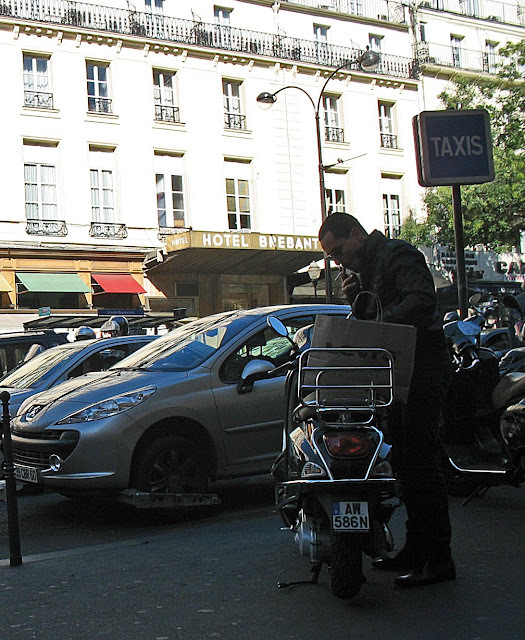 This photo is of a man smoking in the city of Paris. He sure seems to be addicted, because he cannot stop himself even as he is packing something on his scooter. 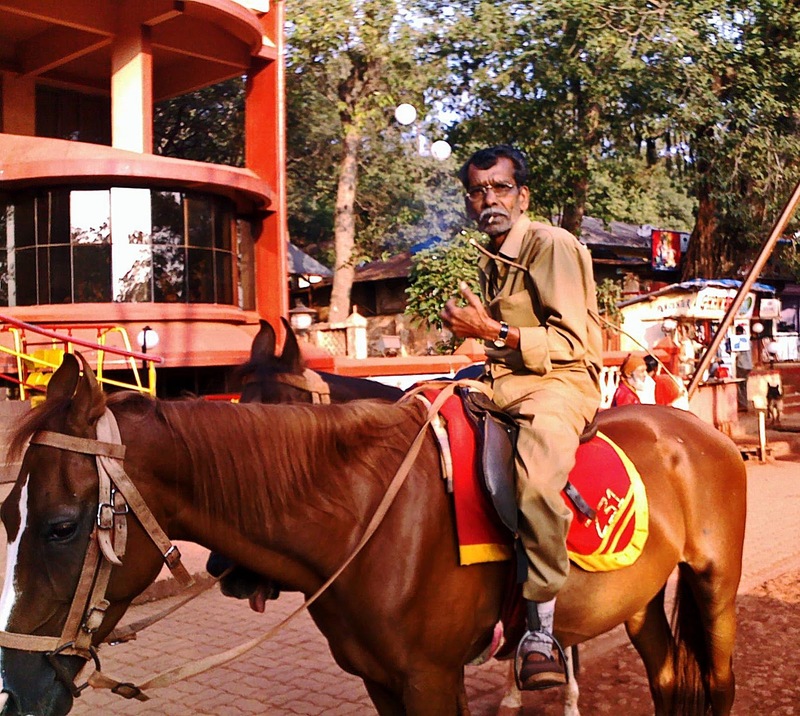 Here is an image of an Indian man on a horse smoking beedi or bidi, in Matheran, India. A beedi is a thin cigarette. Tobacco is wrapped in a leaf, and it is cheap and commonly smoked in India. It delivers more poisonous substances than other types of cigarettes. This smoker is a Rajneeshi (devotee of Rajneesh, a self-styled Godman) and he is smoking while walking down a road near the Rajneesh Ashram. He is wearing the maroon/orange robes which are commonly worn by Rajneeshis. These are pictures of old and elderly women who are beggars. They are destitutes, probably abandoned by their family. 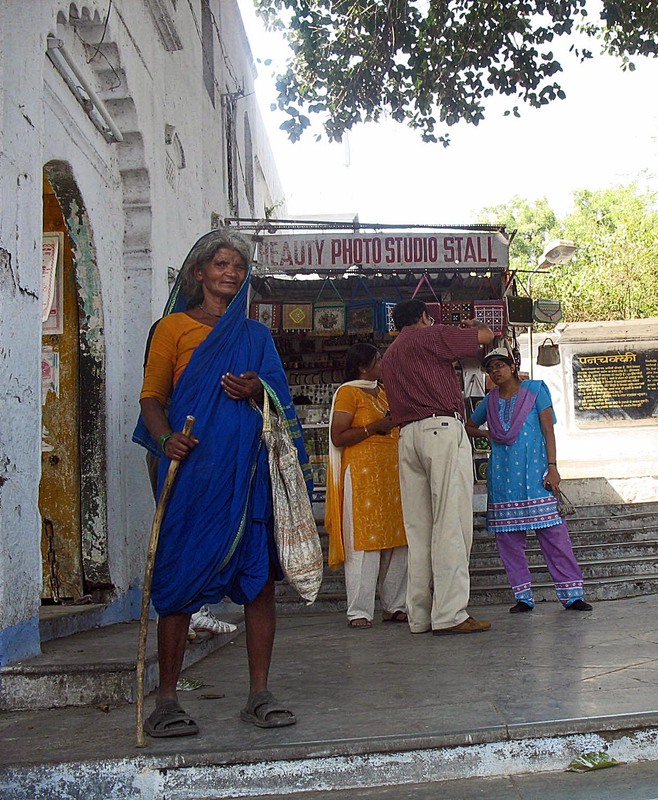 This woman was seen outside the Pan Chakki, a tourist site in Aurangabad, Maharashtra, India. She could barely see. 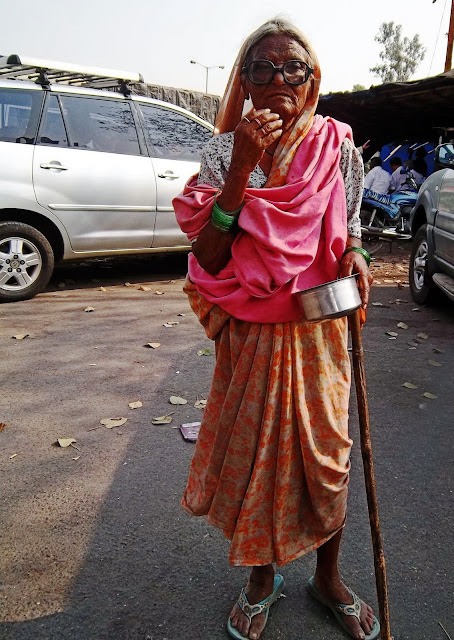 This old woman in a pink shawl was begging for alms outside MacDonald's, a fast-food restaurant near the Mumbai-Pune Expressway. She was squinting at us from behind her thick spectacles and had a slightly puzzled expression on her face. This is a close-up of the same woman. Her leathery and wrinkled face did not show any emotion as I took her picture. 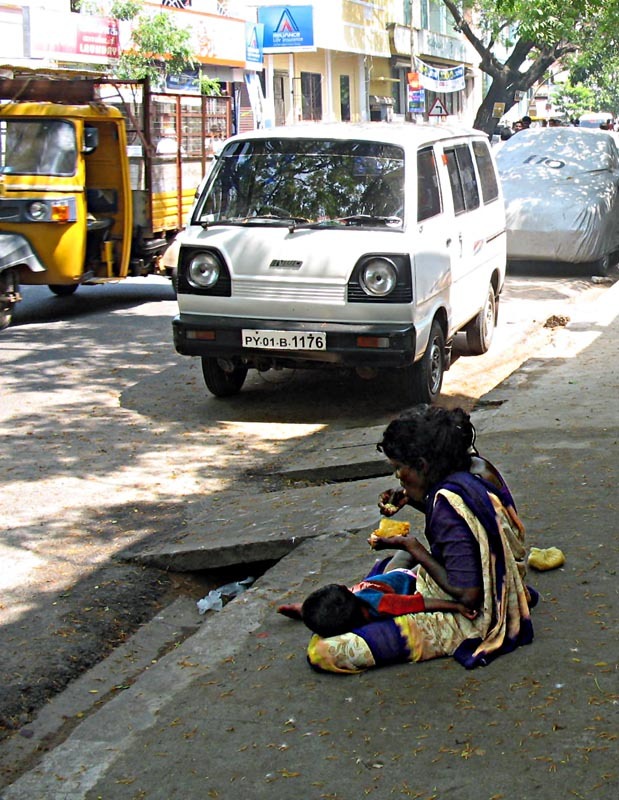 A destitute woman eating roti on the streets of Puducherry in Tamil Nadu. 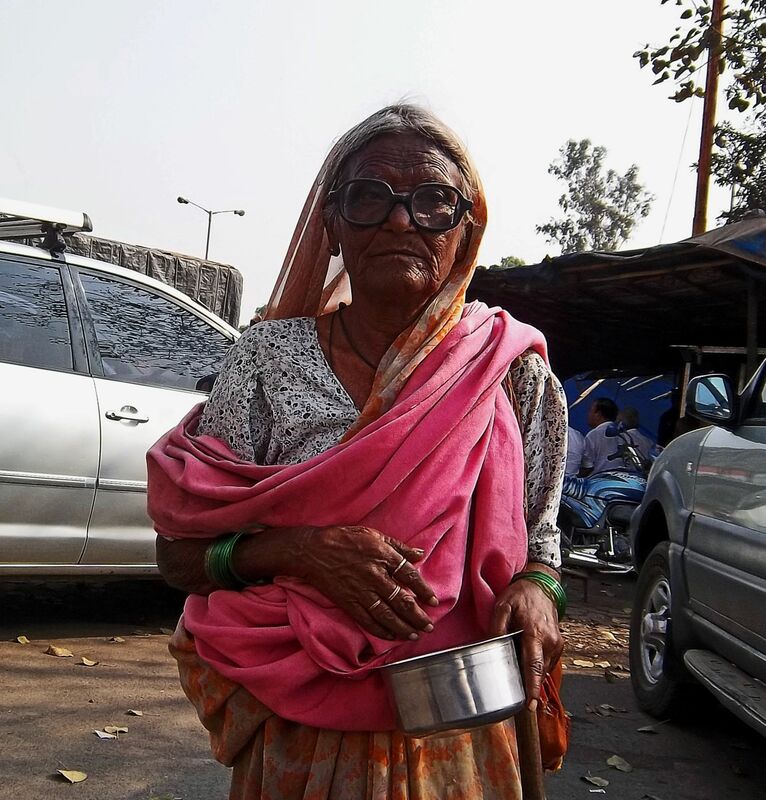 This elderly woman was on a suburban railway station bridge begging for alms. 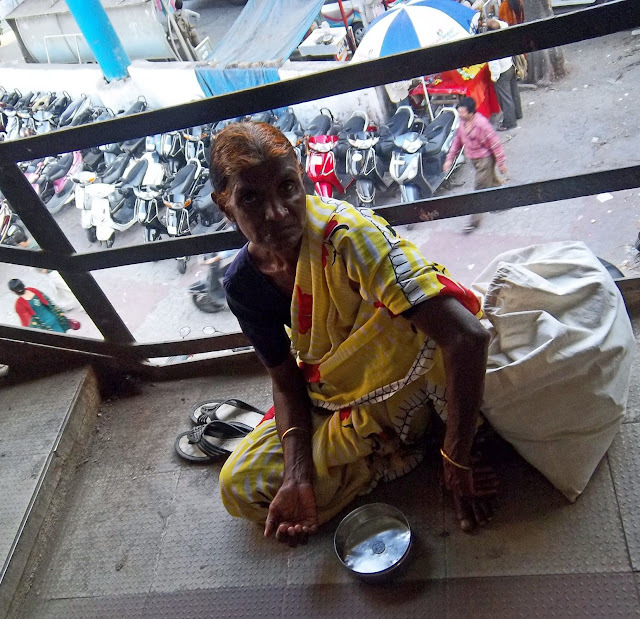 A one rupee coin is in the tin in front of her. In the background is a two-wheeler parking lot. The woman had a cynical and mistrustful expression on her face although she did not object to me taking the photo. This is a Dance Opera at Xian, in China, that many tourists go to. It is usually part of the tour. 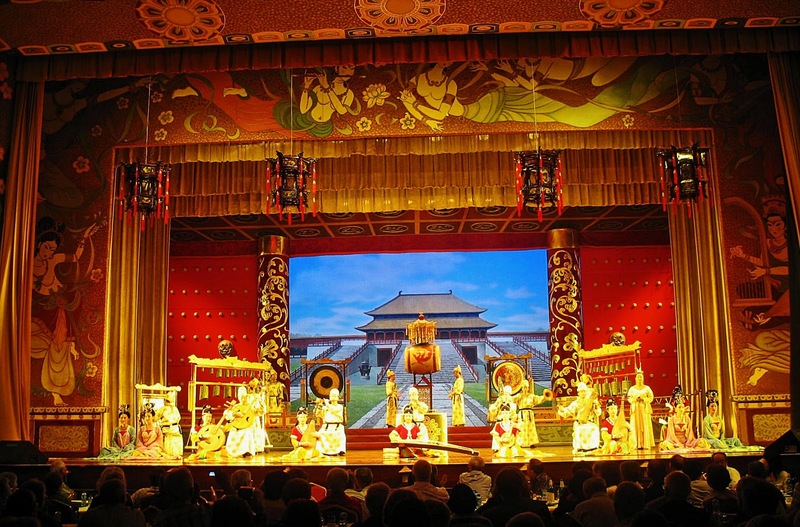 This Chinese Opera performance is very entertaining with superb dancers. It's a Tang Dynasty Music and Dance Show with a lot of dancing and singing in it. 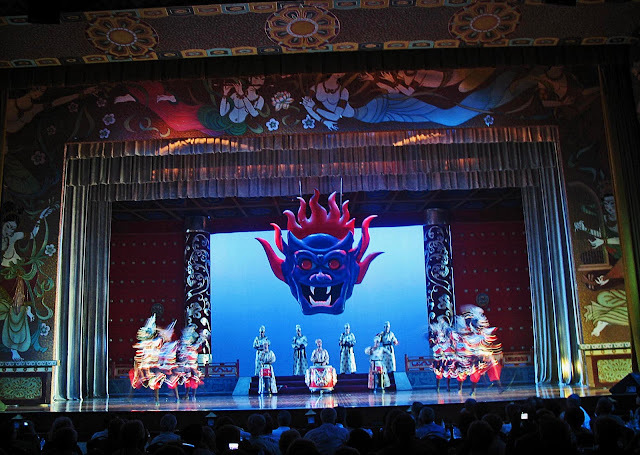 The sets are elaborate, colorful and exotic. This first photograph is of a couple which introduces us to the show. 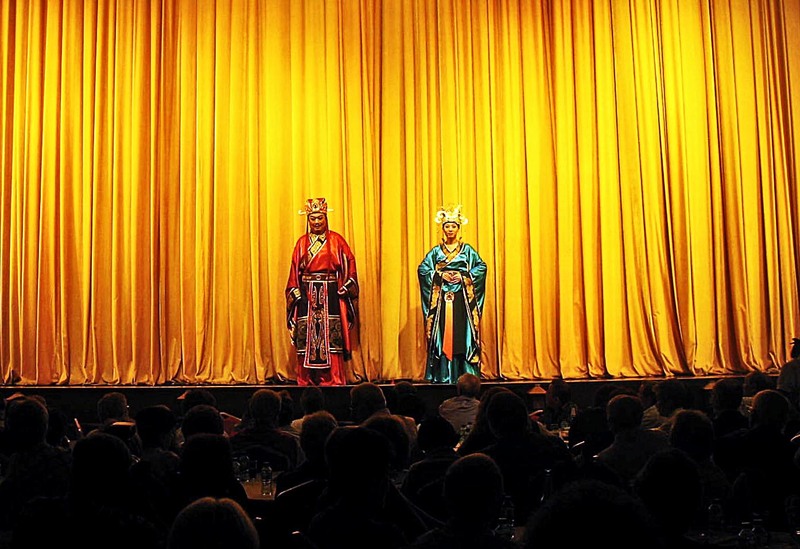 All actors wear traditional Chinese clothes. Silken robes, ornaments and crowns. 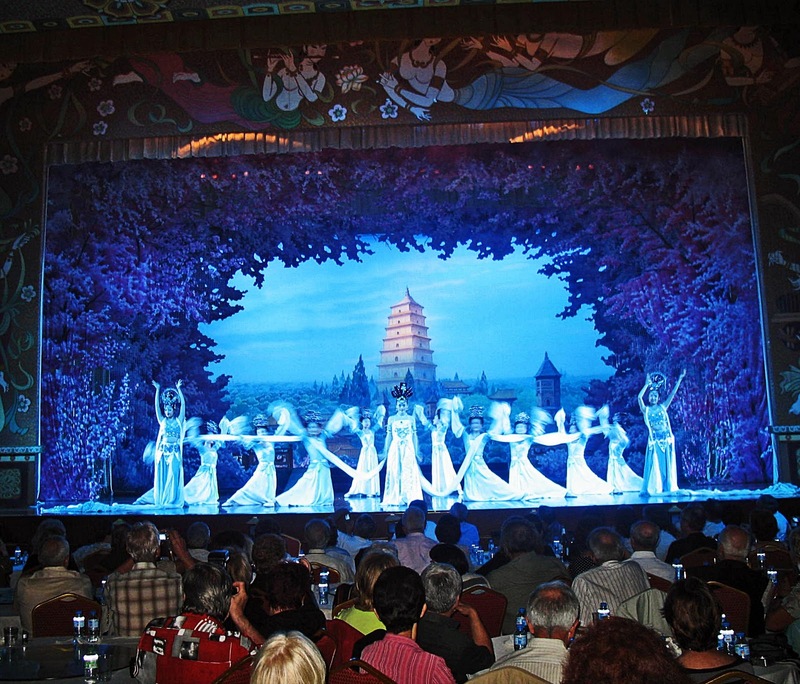 The dancing white figures make a pretty picture and the audience is mesmerized. The stage is bathed in a white and blue light giving this effect. During the short break, it's time for dinner. 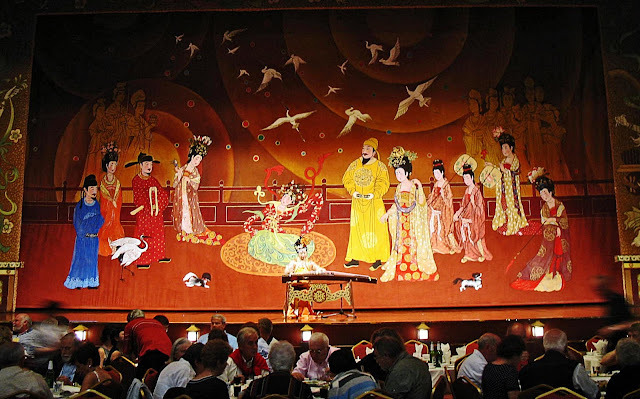 Related Images: The Great Mosque of Xian, China or Chinese Emperor's Crowns or check out the label "China" for all the photographs on this country including that of people, tourist places, and important monuments. These are photos of airports from the inside. 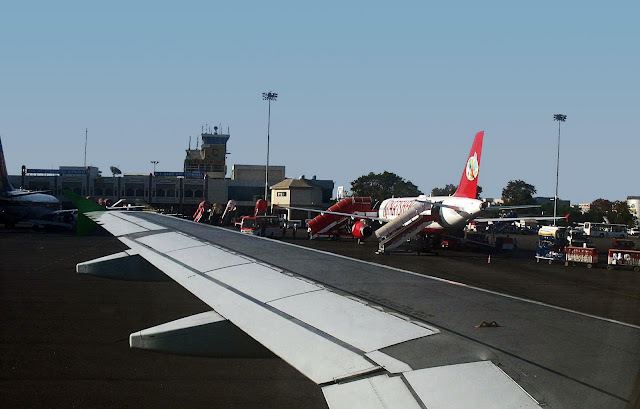 The airport tarmac, runaways, utility vehicles, jetty bridges, aeroplanes as well as people working there are visible in the photos. The pics were shot at different airports - Chennai, Bangkok and Hyderabad. All were taken from inside the aircraft, through the window. 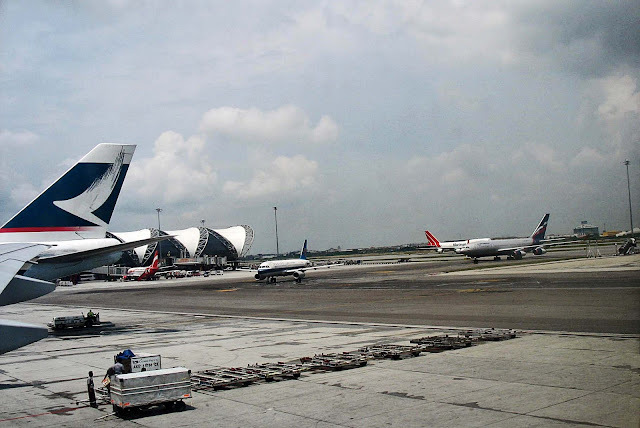 The first few pictures were shot at Chennai airport. 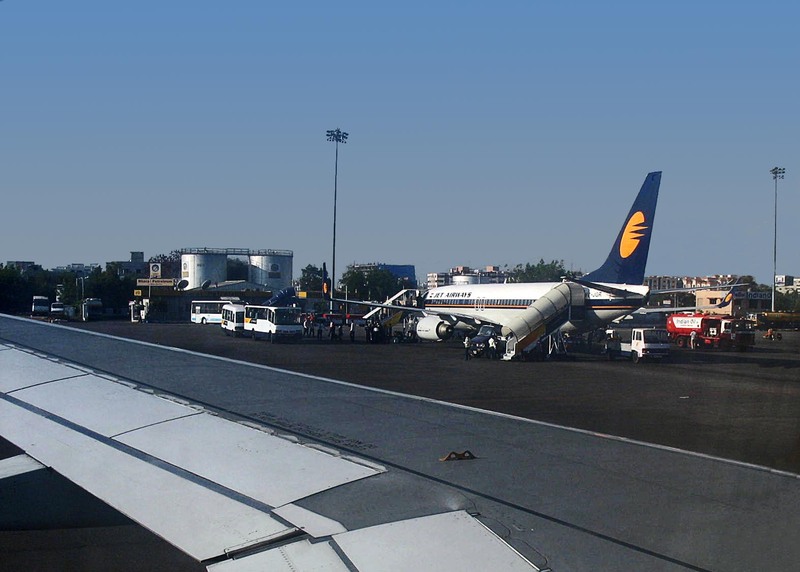 This one has the wing of the aircraft in the foreground and in the background you can see fuel tanks, a Jet Airways aircraft, aircraft boarding staircase, and airport buses with passengers. Officials are standing near the aircraft boarding staircase which is attached to the plane. 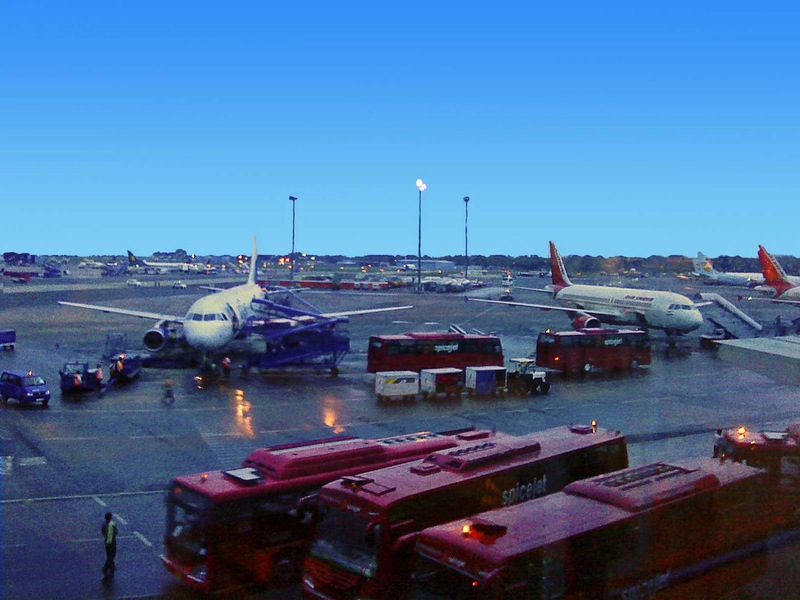 This is a similar photograph, with a Kingfisher airlines flight standing by. There is an airport passenger bus with airport officials. There is an airport passenger bus with airport officials. The wing of the aircraft forms the foreground of the image. 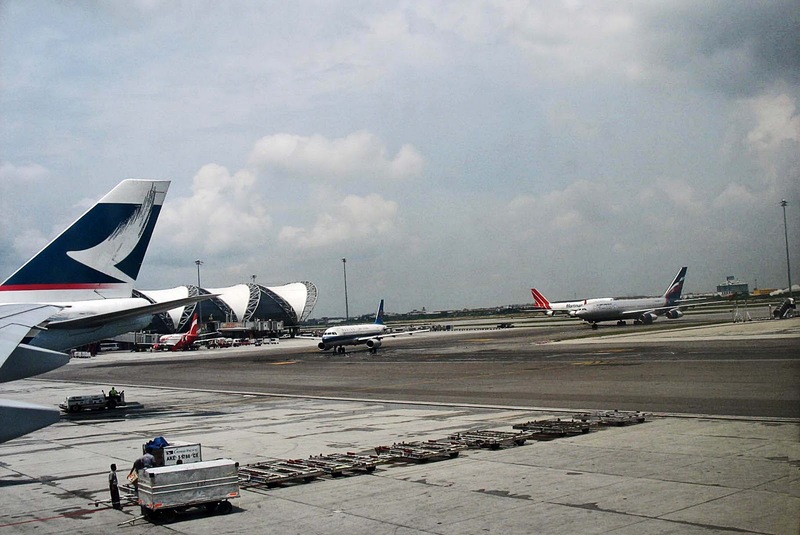 In the background is the Chennai airport building. This is a close up of some of the buildings at the airport. 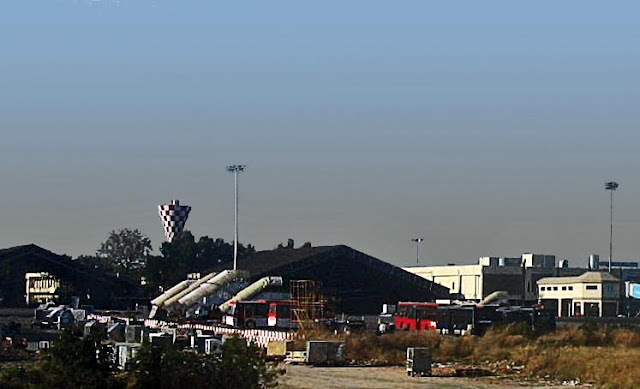 An airplane hangar, several airplane boarding staircases and some parked airport buses can be seen. In this photo you can see an aerobridge attached to a Jet Airways airplane. This is an enclosed movable tunnel-like structure leading from the airport terminal building to the inside of an airplane. Passengers can board the aircraft directly, without going outside. This tunnel or passage is also called a jetway, loading bridge, airbridge, air jetty, passenger walkway or passenger loading bridge. This is the tarmac of Hyderabad's new airport. 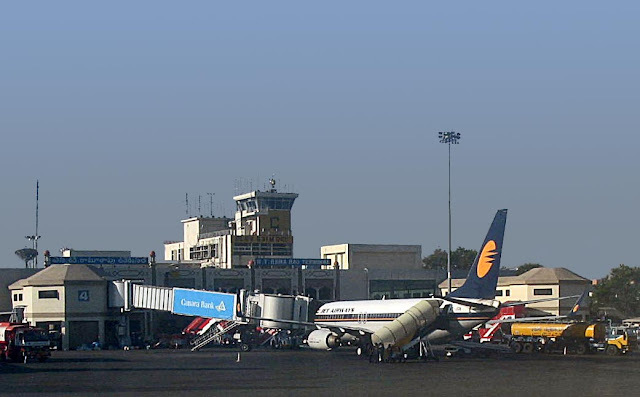 Some Air India planes can be seen on the tarmac. The photograph was shot at dusk from an airplane window. This photo is of the airport tarmac at Bangkok. A part of the airport building can be seen in the background. A few planes are standing by. This picture was shot from the aircraft window as the plane was landing Bangkok. You can see the parts of the machinery underneath the wing exposed. 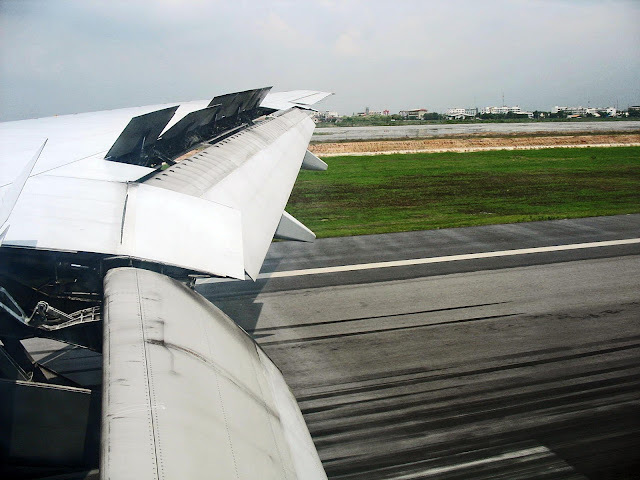 These flaps usually open up when the plane is landing to reduce the speed of the aircraft. 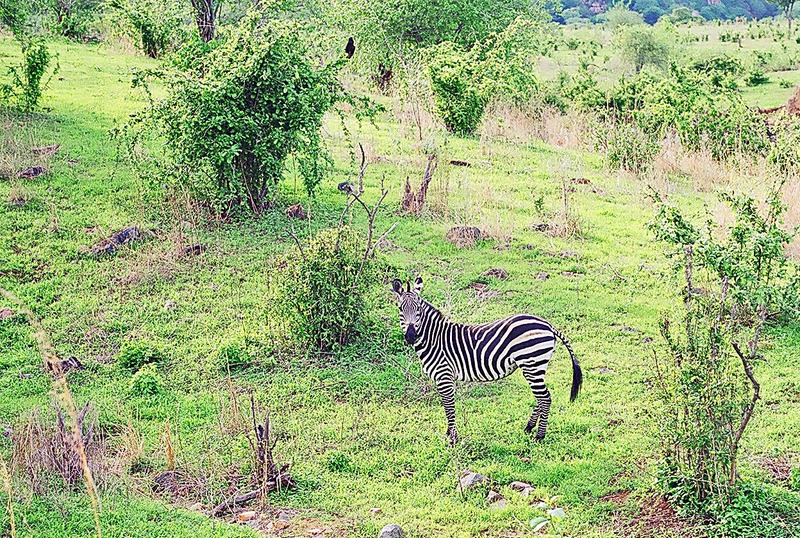 Here are some high resolution photographs of zebras in the wild alongwith a sketch of a lone zebra. The photos are fairly good, but even larger versions are available with me. The scenes were shot in Tanzania. The jungle was teeming with wildlife. It was called Ruaha, a Tanzanian national park. This photo is of a lone zebra standing in a background of sparse foliage in the forest. It seems unafraid of humans. More curious than afraid. We could go up pretty close to him in the jungle and all he did was stare. 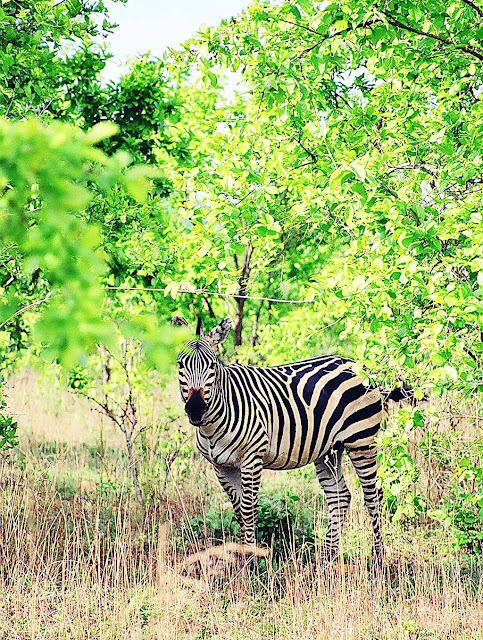 Zebras are not cute, but still quite beautiful. The minute we walked up to them, they turned and stared. All happy, well-fed zebras in the jungle. 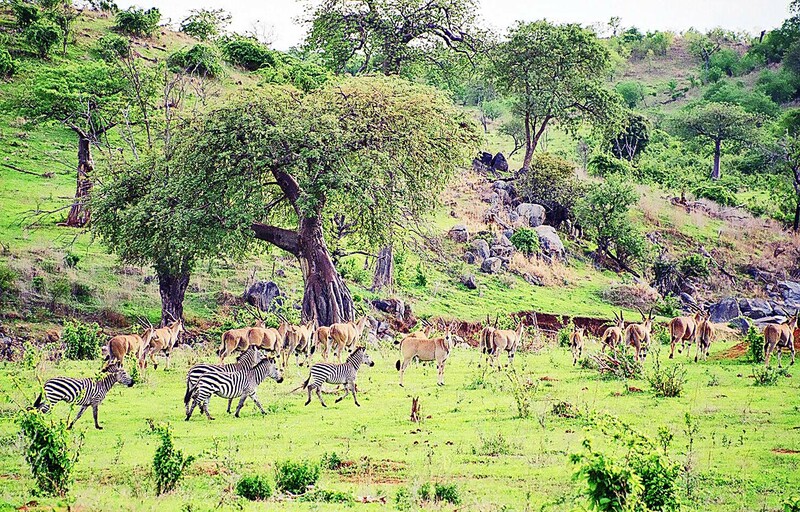 The thick green foliage offered sufficient food for them. 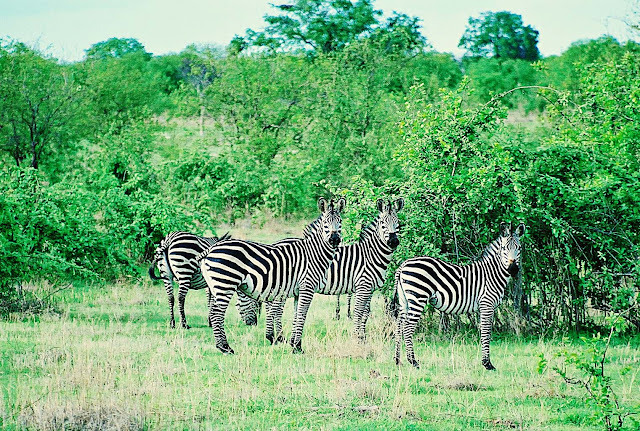 Here are some zebras alongwith a deer herd, and it looks like the deer and the zebras are good friends. 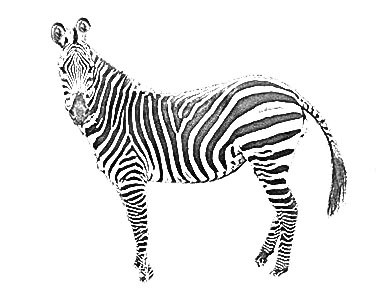 Here is a sketch of a zebra. Also check out the label "Animals " or "Wildlife."